Request Smoky Mountain Vacation Below! Special Offer Resort Preview Let's Go! It's easy - just request your getaway today! There's no obligation! One of our representatives will contact you to courteously review the offer, answer your questions and process your reservation! Enjoy Gatlinburg and Pigeon Forge! Crown Park Resort in Gatlinburg is set against the misty backdrop of the Great Smoky Mountains on Gatlinburg's Historic Nature Trail. Near Pigeon Forge, it's your gateway to the enjoyment of the wilderness of Great Smokey Mountain National Park. You'll find hours of fun, relaxation and exploration through incredible hiking trails, beautiful waterfalls, scenic valleys with abundant wildlife, yearround. Gatlinburg and nearby Pigeon Forge will excite you with thrilling theme park rides, delectable dining options, scintillating nightlife, picturesque golfing in summer or downhill skiing in winter! It's just a short drive to nearby Pigeon Forge for the rides and shows at Dollywood Theme Park or visit Ripley's Aquarium. Catch a breathtaking view of the Smoky Mountains atop the Scenic Chairlift or ride the Aerial Tramway. You'll love Ober Gatlinburg, where you can enjoy the many ski trails and year-round ice-skating and arcade. And if you're lucky, you might even spot a bear or two. Your Discount Package is sponosred by a timeshare or vacation owenrship resort in the area. They have a great resort and want to reward you with a discount vacation simply for meeting their terms and conditions and taking time to preview their project. Here in the Gatlinburg - Pigeon Forge Area, you will feel truly close to nature, as it unfolds in a misty haze over the Great Smoky Mountain National Park. Your be close to everything you need, including some of the most-visited attractions in Gatlinburg and Pigeon Forge area. You'll love your accommodations at one of our Preferred Partner Hotels in Gatlinburg or Pigeon Forge. You'll have an absolutely no-obligation preview of our sponsor resort while here. How can you beat it?...a great place...lots of fun, relaxation and activities…at a price that's irresistible. So Let's Go and take advantage of this opportunity to discover Gatlinburg, Tennessee and the Great Smoky Moutains at their best right now for as little as only $49 plus your choice of exciting activities and premiums! Enjoy your Preview Vacation Now! Enjoy Great Accommodations for your Vacation! Your Getaway Sponsor has arranged for your stay at the one of our Preferred Partner Hotels in Gatlinburg or Pigeon Forge, Tennessee during this getaway. Our Preferred Partner hotels include the Glenstone Lodge, Edgewater Inn, Fairfield Inn & Suites, Oak Square Condos, Park Vista, Bearskin Lodge, Mountain Shadows Cabins or Parkside Cabins in Gatlinburg, or the Park Grove Inn, Hampton Inn & Suites or Eagle Ridge Cabins in Pigeon Forge and more. These Preferred Partner Hotels have been chosen for their quality, convenience and incredible value. You'll recieve a standard hotel room featuring two double beds and full bath. All of our Preferred Partners are located either in Gatlinburg or Pigeon Forge close to attractions, dining, shopping and great family fun. All of our Preferred Partners have excellent rooms, fine locations and an array of fine amentities. Now that you've taken our preview, either complete the request form below or click Let's Go! 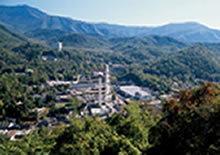 Take advantage of this opportunity to discover Gatlinburg, Tennessee and the Great Smoky Mountains. They're at their best right now, and as little as only $49 including Your choice of Activity and Theme Park Pass Premiums, Fine Dining or Outlet Shopping, based on the sponsors current promotion! Enjoy Your Smoky Mountain Getaway Soon! Your information provided will be used to request the reservation for your vacation getaway. This is NOT a confirmed reservation until you are contacted by one of our representatives by telephone and then issued a confirmation via email. This offer originally presented to you by has expired and is no longer available. Please submit your request and we will notify you as soon as an alternate offer is available. Preview Tour: Attendance at a resort preview tour and sales presentation timesharing or vacation ownership is required. Typical presentation is between 90 minutes and two hours. If married or cohabitating, both partners must attend. Failure to attend a preview tour and sales presentation or meet these terms and conditions upon confirmation and arrival will result in participants being charged the applicable season rack rate for this package and participants will not receive the choice of premium. Identification: You must present photo identification such as a driver’s license or passport plus a major credit card at time of arrival and tour. Size of Party: One Offer per Arrival Party or Family. No groups of two or more couples or from more than one household arriving or making reservations together. 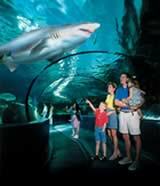 Reservations with this package are accepted for two adults and up to two children. We will notify you about the accommodations as soon as new offer is available. An advance reservation is required. All requests for lodging confirmation under this offer must be accompanied by your acknowledgement that you meet the terms and conditions of this offer both on your request form and verbally with one of our representatives. Your confirmation request must be accompanied by a major credit card. Your card will only be charged by your sponsor resort at the time acceptable lodging and dates can be confirmed for you. Upon processing your request, a confirmation letter will be issued via email detailing your lodging, dates and times of check-in and check-out; the date and location of your promotional tour and the gift you are to receive. Your confirmation letter includes a link for directions from your point of departure directly to the resort Welcome Center. We provide customer service to you in advance of your arrival as well as a copy of these Details of Participation in your confirmation. We are here to be of service to you. This is an advance purchase package valid for arrivals through August 30th, 2008 only and purchase price is not refundable, subject to state of residency cancellation provisions. If you need to reschedule your reservation, you must call at least 14 days prior to arrival to avoid a $99 administrative fee. Only one reschedule allowed. THIS ADVERTISING MATERIAL IS BEING USED FOR THE PURPOSE OF SOLICITING SALES OF A VACATION TIMESHARING PLAN. Special Offer | Resort Preview | Let's Go!